Changes made by Microsoft may prevent an end-users ability to view shared devices(computers) in File Explorer’s Navigation Pane ‘Network’ folder option. The inability to view networked devices/computers in File Explorers Navigation Pane ‘Network’ option appears to be related to deprecation of the HomeGroup feature. While not all end-users have or had previously used the Homegroup preferring standard network sharing methods, the end result of HomeGroup removal and/or under-the-hood feature and/or security changes may still be one of the underlying causes. Close the Services window. Close all open windows and Restart the device. Other articles on the internet suggest setting a few other ‘Services’ to Automatic or Automatic Delayed Start(SSDP Discovery and UPnP Device Host); Removing shared locations(e.g. C:\Users) and re-adding shared locations; Editing the Windows ‘hosts’ file by adding respective IP addresses for each shared device on the network. Editor Note: Sharing the C:\Users folder especially with multiple users on the same device imo may be a privacy concern and should be avoided. 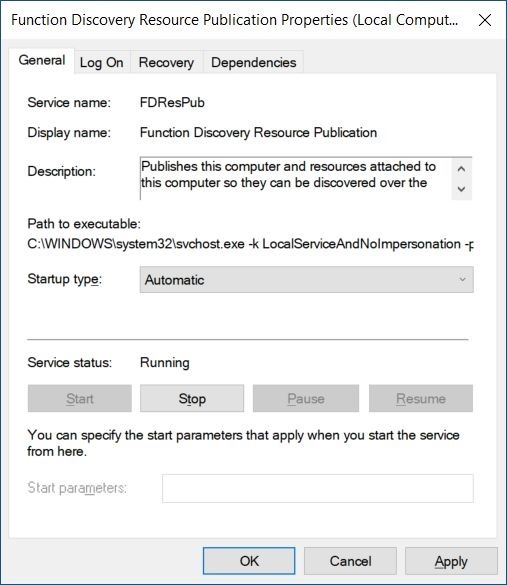 Also the need to modify the service action from Windows 10 default setting for the SSDP Discovery and UPnP Device Host services is not an absolute requirement. Likewise, adding assigned router ip addresses for each device in the Windows ‘hosts’ file[few network gurus recommend this method when setting up Windows Networking] may be another wasted effort. Bottom line => Don’t tamper with settings that aren’t necessary. Mar 30, 2018: Retitled/Republished for Windows 10 Version 1803; Added Editor Note in Step 1. May 1 2018: Updated with additional detail and steps for clarity.